Are Weevils Destroying Palm Trees in San Diego? A coalition of government agencies and industry groups involved in agriculture called on San Diegans Friday to be on the lookout for a type of weevil that destroys palms and other types of trees. Agriculture officials are hoping to locate and stop the invasive South American palm weevil before it gets established in California. The pest is 1 1/2 to 2 inches long, jet black, with long snouts. According to San Diego County agriculture officials, it was determined in September that palm weevil larvae killed some palm trees in San Ysidro. Besides palm trees, the weevils feed on 35 other forms of plants, including avocado and citrus trees. They’re primarily found in Mexico, Central and South America and the Caribbean. 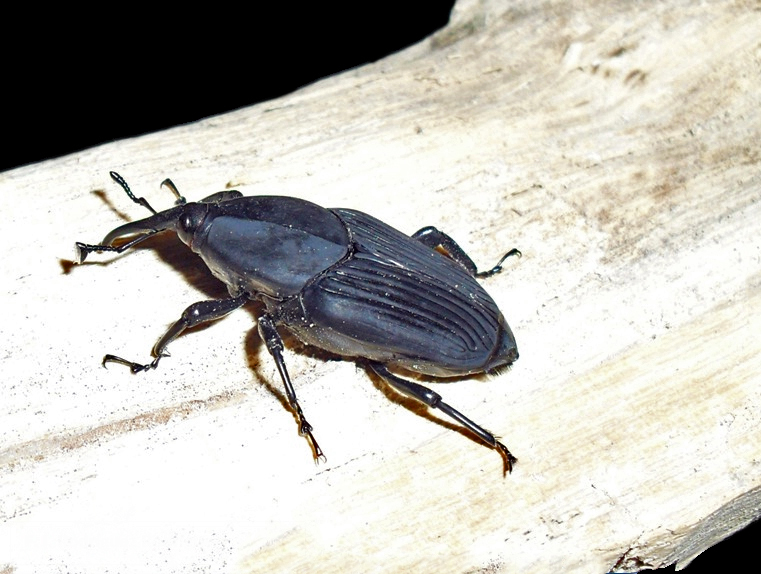 Residents who spot palm weevils or palm trees damaged by the pest can fill out an online form on the website of the Center for Invasive Species Research at UC Riverside, at https://cisr.ucr.edu/palmarum.html. The CISR website also has photographs. According to the UCR center, the weevil was discovered in Tijuana in 2010 after numerous dead palm trees were noted. The species was found in San Ysidro the following year. The center’s website says the pest could “cause significant damage to native and non-native palms in California,” where the ornamental palm industry has an estimated value of $70 million. Commercial date producers in the Coachella and Imperial Valleys contribute about $30 million to the state’s economy. According to county agriculture officials, the threat comes not from the weevils themselves, but their larvae, which eat the palms from the inside out, typically in the crown of the tree. That makes it impossible for the tree to grow new fronds and causes it to die from the top down. The South American palm weevil can also transmit another palm-killer — the red ring nematode — which has not been found in California to date. Agriculture officials said that despite the beetle’s large size, it is often difficult to detect weevil infestations because they live inside palms. However, infested palms will often suffer notched new fronds or damage to the top of the crown. In advanced stages of infestation, the tops of palms can droop and collapse.